My nephew Vince is 2 years and 5 months old now. I was happy for his fast development, because at his age he knows how to play the games in the computer. 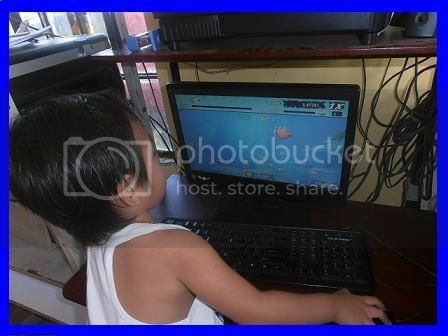 Aside from that he knows how to open the games and how to handle the mouse. Even the mouse is not fit to his hands he also knows how to handle it properly. I think it much better if I can buy the small mouse for him, so I have a plan to buy tomorrow. Anyway, I took a photo during his play the games.